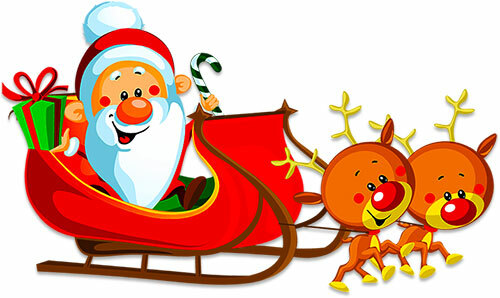 Printable clipart images of Santa and his various sleighs. 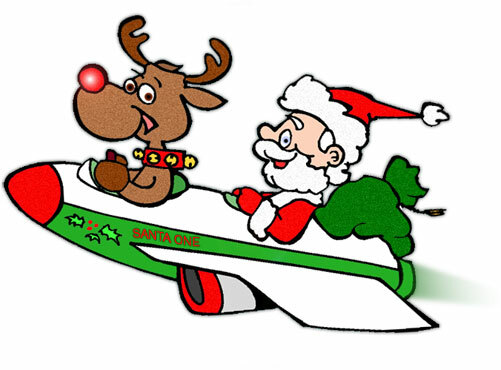 Clipart also includes Rudolph The Red Nosed Reindeer. Rudolph is leading the way. When there gets to be over 1.9 billion children in the world Santa has to step up his game. 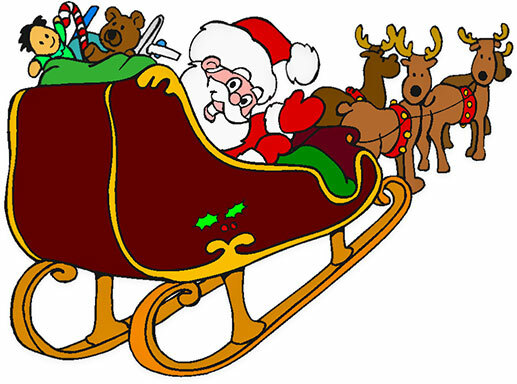 This is a secret picture of his new sleigh. Remember, it's a secret so don't tell anyone. I hear it can go faster than Mach 9. Santa One was built by the elves, of course. Merry Christmas! Santa in his sleigh pulled by his reindeer and filled with presents for nice boys and girls. Santa Claus in his sleigh being pulled through the air by his reindeer. It looks like they are all being led by Rudolph. Scene includes Merry Christmas! 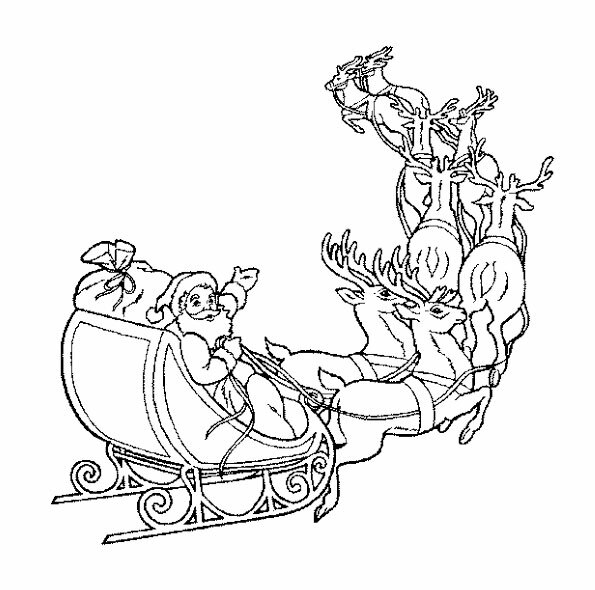 Santa in his sleigh being pulled by young Rudolph and his brother. I didn't know Rudolph had a twin brother. Santa and sleigh pulled by his reindeer. Perhaps you could add a little color. 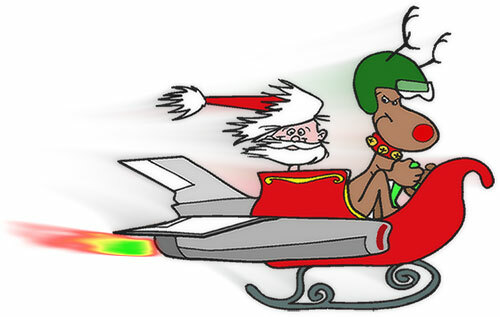 Santa and Rudolph performing late stage beta testing on the control software for the first experimental rocket sleigh. Rudolph clearly was not pleased. Is it any surprise that Santa and Rudolph decided to go with "Santa One"? 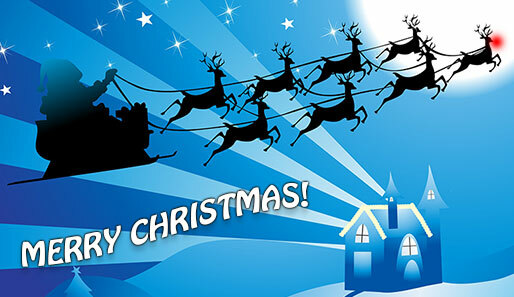 If you save and use our Santa Christmas clipart please give us credit. Thank You.